Our Year 4 children receive the Sacrament of Reconciliation and Holy Communion. The sacrament of Reconciliation is received by baptised Catholic children. 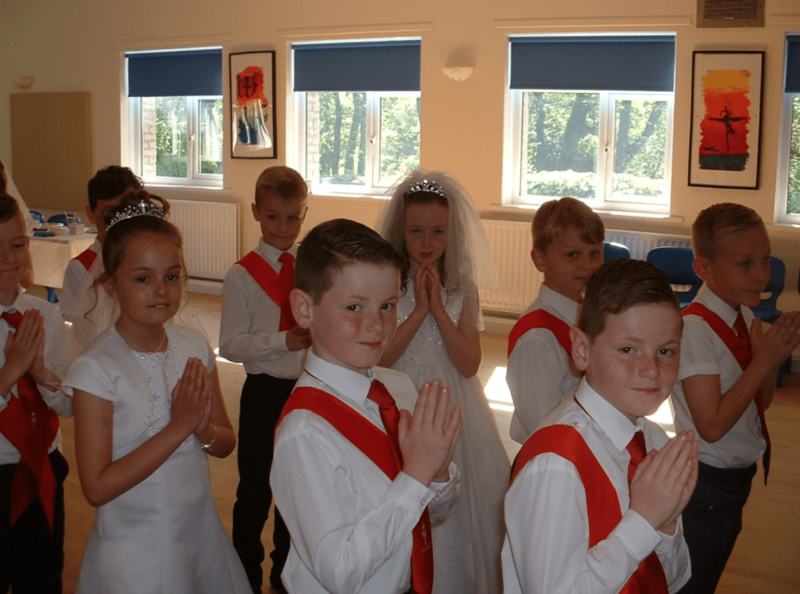 All children in Year 4 are included in the celebration of the sacrament and our inclusive ethos ensures that those children who are not baptised Catholics are enabled to participate as fully as possible in supporting their classmates during the programme. Year 4 take another step along their Faith Journey, by receiving the Sacrament of Reconciliation, a chance to say sorry to God for the things they have done that have hurt God, others and themselves. When God created man, in his image and likeness, he knew we would make wrong choices so he gave us the gift of Reconciliation so that we have the opportunity to put our wrongs, right and grow closer, to God; following in his ways. The children prepare thoroughly for this Sacrament. 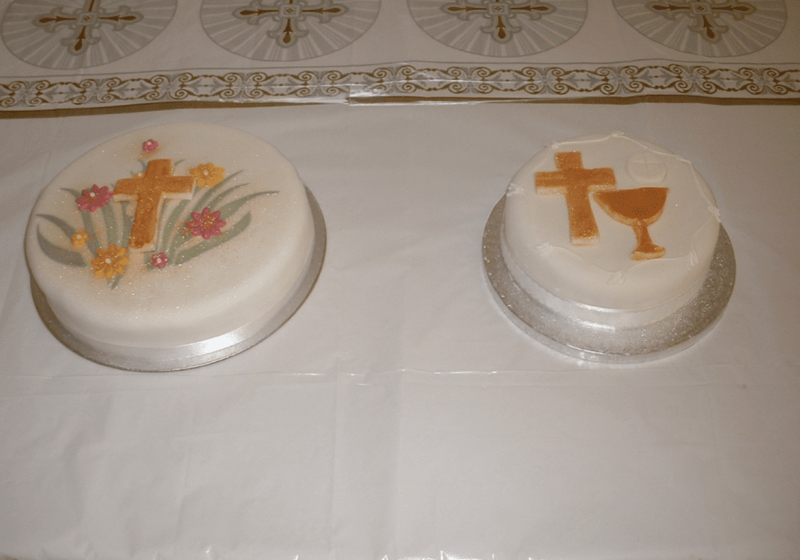 The preparation takes place during RE lessons and there are also meetings between school, parents, and the parish priest. In addition to this, children and parents in Year 4 attend twilight sessions in order to further deepen their understanding. 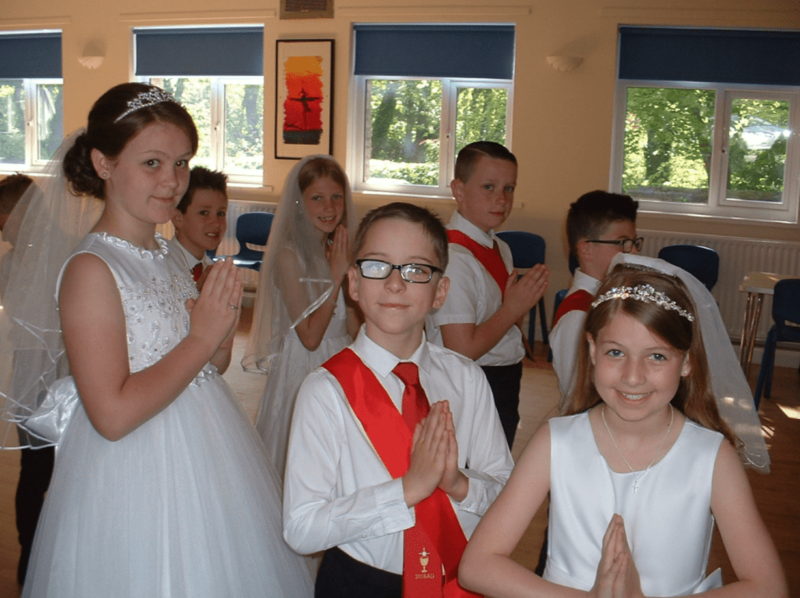 Congratulations to our Year 4 children who made their First Holy Communion. The boys and girls outshone the summer sunshine in their outfits and dresses. It was a fabulous occasion and lovely to see so many family members gathered together to celebrate the children’s special moment with them. Thank you to all the helpers, of which there were many, who contributed to the big day. A special thank you to Fr. Frank, Mrs Wilkinson and Mrs Robinson for their time in preparing the children for the sacrament. Thank you to Mrs Jubb for providing such fabulous party food and the special cake. Lastly, thank you to the parish ladies for working non stop providing refreshments throughout the morning. 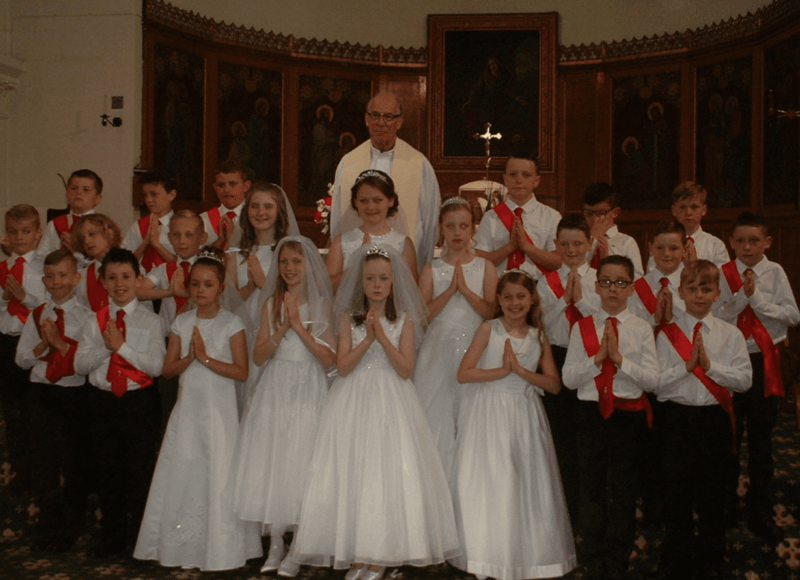 Congratulations to all of our children who made their First Holy Communion this weekend. Didn’t they all look superb on the day? 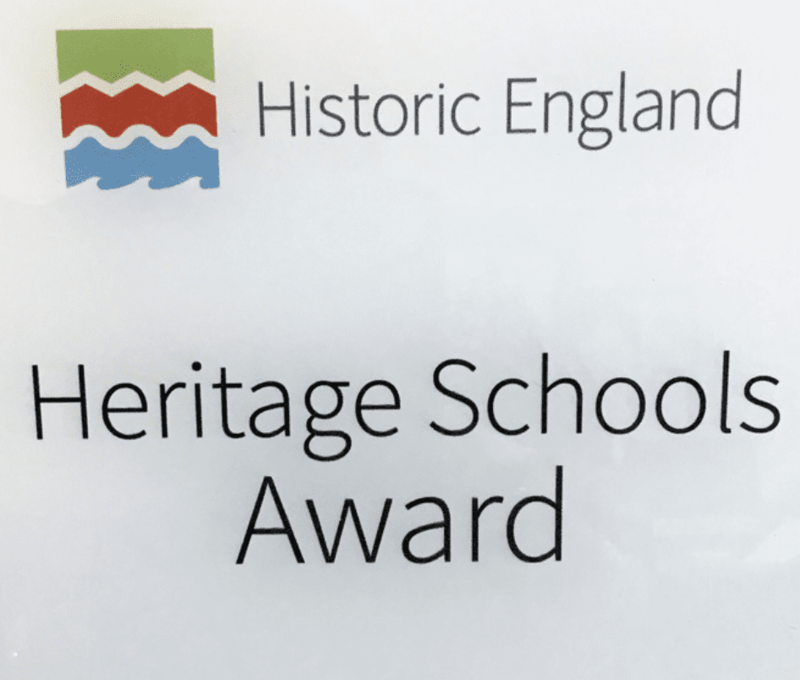 It was certainly a very special occasion for all involved. Thank you to all the helpers and volunteers who contributed to make the day such a memorable one!